What should I put in my recycle bin? Every community is different, but generally speaking all common household food and drink containers can be put in your recycle bin…leaving the “real trash” at a bare minimum. 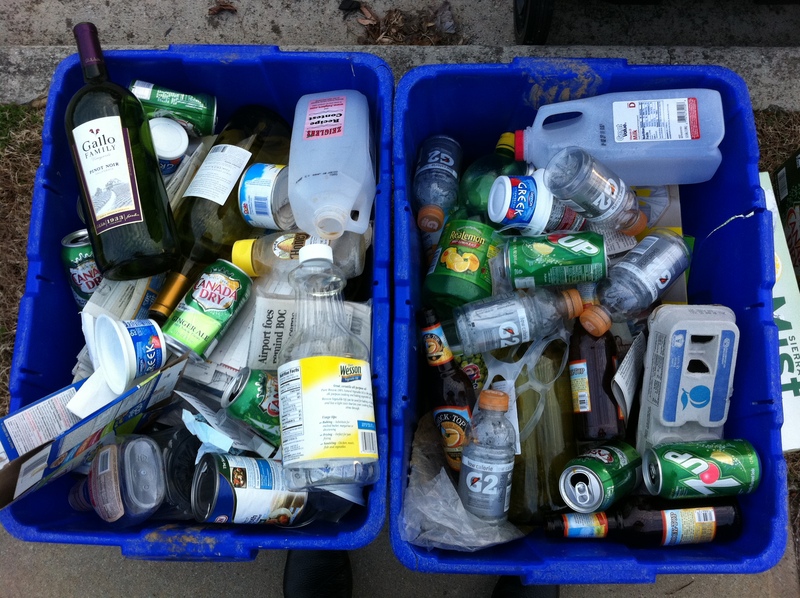 If you aren’t generating more recycling than trash each week, it’s easy to get on board! 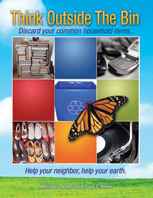 Here’s an example of typical items found in the recycle bin each week: Cereal boxes, cracker boxes, paper egg cartons, bottles, cans, jars, mixed paper (newspapers, junk mail, envelopes, magazines), plastic containers (look for the number inside the ‘chasing arrows’ recycling symbol, some curbside programs pick up #1 throug h #7 plastics! ), milk jugs, yogurt cups, beer and wine bottles, soup cans, etc. Thank you to our loyal reader and friend, Sandy S. from Atlanta, GA for your question and your efforts to become the recycling Mom doing her part! This entry was posted in Household items, Newspapers, Paper, Plastic, Plastic containers, recycling and tagged common household food, drink containers, postaday2011, what can be recycled. Bookmark the permalink.